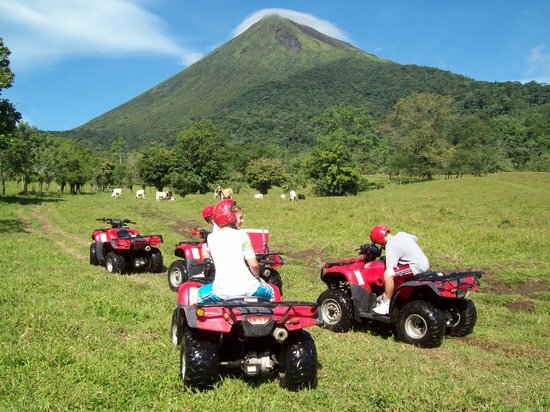 Our adventure begins when we pick up you at your hotel and take you to our private farm located next to the volcano and National Park. Once there you will be introduced to our professional bilingual guide who will give you all the information you will need. You will start out in open plains where you can warm up with your quad. Then quickly you will start your thrilling ride through the tropical rain forest. Crazy turns, wild jumps and a lot of adrenaline running through your body will make this an experience you will never forget! You will be on your quad for 2 hours, full of adrenaline and excitement. What to Bring: Comfortable clothing, comfortable shoes.